Can I delete my previous plans? Clean up your previous plans from your profile section. All you have to do is swipe left on the Previous Plan you wish to delete and done! 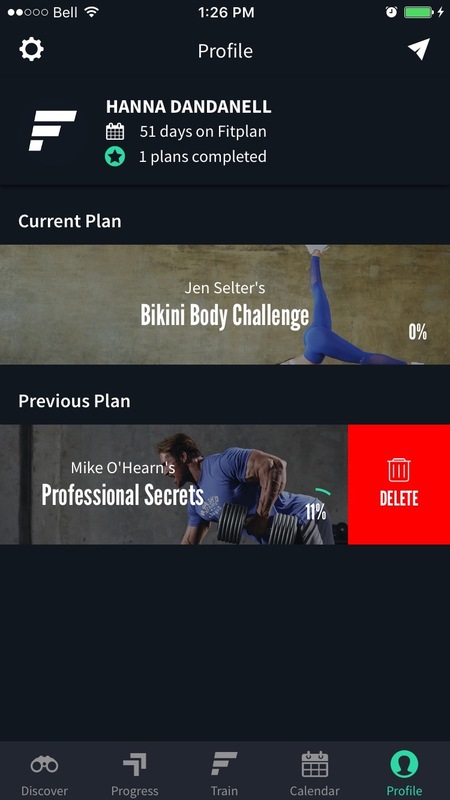 If you would like to delete your current plan you will need to subscribe to a new plan then delete the plan you were doing by swiping left on the plan at the bottom of your profile.